If you have read about new Beacon or iBeacon technology you might have a good idea what this story is all about. Look at it as a physically ‘close’ technology that delivers information to interested passerby’s that have an app installed their portable devices. “The technology,” according to Wikipedia, “enables smartphones, tablets and other devices to perform actions when in close proximity to an iBeacon. iBeacon uses Bluetooth low energy proximity sensing to transmit a universally unique identifier picked up by a compatible app or operating system. As an aside, we note that according to Google: “The term iBeacon and Beacon are often used interchangeably. iBeacon is the name for Apple’s technology standard, which allows Mobile Apps (running on both iOS and Android devices) to listen for signals from beacons in the physical world and react accordingly.” You can read more about the concept here: iBeacon and Apple – iOS: Understanding iBeacon – Apple Support. 1. Tell us a little bit about the “beacon” technology, specifically, what it is, what frequency band(s) it is in, how it works, and what devices are involved (ground system)? Apple and Google have promoted the rise in the use of beacon technology through their respective protocols (iBeacon and Eddystone), used by many different beacon hardware manufacturers. Beacons are a major development in the so-called “Internet of Things” – changing the way people interact with their environment, and allowing businesses to create better customer experiences and more efficient operations. By setting up beacons in indoor and outdoor spaces, organizations can provide valuable services like way finding, delivery of contextually relevant content and timely offers, based on a customer’s specific location in relation to their mobile device. Beacons may be positioned anywhere, and communicate with backend systems via the Web, with user’s mobile phones and other smart devices. Also, to clarify, we are not an iBeacon hardware creator. We partner with beacon companies to supply our clients. Area360 Location offers a software development kit and content management dashboard that enables experiences to be created with iBeacon and Eddystone technology. 2. Why is this technology interesting to you and what will it bring to users? Beacons make it easy for airlines and airports to build, measure and iterate on mobile location based experiences. However, to date, most beacon-related systems have been commercialized with a focus on push advertising in the retail industry. Area360 Location is a ready-built technology platform that will give airlines and airports the ability to leverage beacons and other data sources to enhance the travel experience both in the airport, and eventually on the airplane. Airports are bustling places, with so much to offer visitors, from art installations to shopping and fine dining. What if passengers could find their way more easily to what they really want? What if they could locate important points of interest along the way such as check in, the fastest security line and their gate or the duty free? In addition, the data the business managers at Airports have access to through a location platform such as Area360, can help to make decisions and optimize customer traffic flow as well as operational processes. 3. Tell us a little bit about Area360… company, history, plans for the future. We started Area360 to give organizations the ability to enhance their customer experience by providing navigation as well as relevant information and unique opportunities along their path. Using beacon and other location data, our platform enables customers to create a broad portfolio of useful services. Area360 was formed in 2012 in Wellington, New Zealand and has grown under the leadership of Chris Smith, founder and CEO, enabling the rapid expansion to Seattle, with multiple global offices in the works. The company saw an opportunity to rapidly advance its business by opening a Seattle-based headquarters, while simultaneously growing the Wellington office into a development powerhouse. 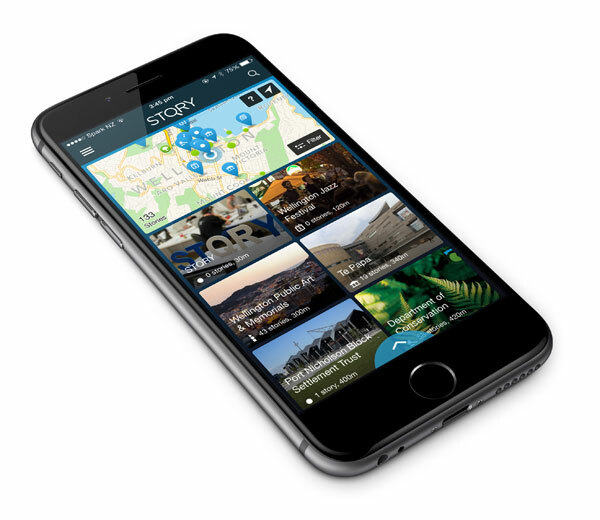 Drawing on the company’s rich history of connecting digital content to physical locations through the STQRY app, Area360’s advanced solutions now offer dynamic mobile applications and proximity based content delivery down to one to three meters, providing the tightest correlation of any beacon/location-aware platform on the market. Our products are already in use by more than 400 customers worldwide including Emirates Airlines, Seattle-Tacoma International Airport, Denver International Airport, LAX Ontario Airport and a handful of other major airline and airport customers that are currently in beta (we can’t disclose who yet). 4. Do you think this “solution” has application and use on an airplane? Why? 5. Why would Airlines or Airports be interested? As frequent travelers ourselves, we understand that the difference in which airlines we pick, where our favorite airports are to fly into and out of, is heavily weighted by the customer experience. The combination of mobile and location technology harnessed through the Area360 platform, enables airports and airlines to create and deliver unique, meaningful and timely content in order to satisfy and retain passengers. Whether its pilots, flight attendants or passengers, the moment you step out of the gate in an unfamiliar place, you have questions. Where is the nearest bathroom? Where is my connecting gate, or baggage claim if arriving home? Where is the duty free or the closest place to buy a meal? Just as GPS has revolutionized how we find our way outdoors, the time is now for beacon technology to change the way we experience life indoors. 6. With respect to aircraft FAA and potential aviation FCC/airplane communication/connectivity issues, please give us a bit of information about your research there. To date, we aren’t privy to specific FAA or FCC discussions regarding beacons in airports or airplanes, but as beacons grow in popularity, we expect this to be an increasingly important point of discussion. 7. When do you see a ground product available… and an aviation product? 8. Today, there are ways that passengers can receive connectivity in a plane with Wi-Fi, and arguably, Bluetooth reception on a plane with existing equipment like routers or whatever, why would your connectivity system be of value to airlines? Area360 products significantly enhance mobile connectivity through location-aware delivery of content and other services, both on the ground and in the air. People expect a more personalized experience these days, social and mobile data have increased the context in which people receive messages; adding on location data will only make that content more relevant to the passenger receiving it. 9. What else should we know about Area360? In addition to designing Area360 to make it easy for organizations to improve an organization’s customer experience and operations, we were very focused on building platform agnostic, cloud based products with API integrations that plug in to existing data ecosystems. One example is our Area360 Location SDK that gives developers the ability to build Area360’s capabilities into any application or service. 10. If our readers are interested in AREA360 or it’s products, who do they contact?